Magnificent custom lakefront home with captivating interior views that feel like you're over the water! Elegant and tastefully decorated. Beautifully stone landscaped waterfront area to share your memories. Centrally located. Easy level access driveway off of quiet road. 70k gross annual rental projection potential. Weatherproof wrap-around decking. 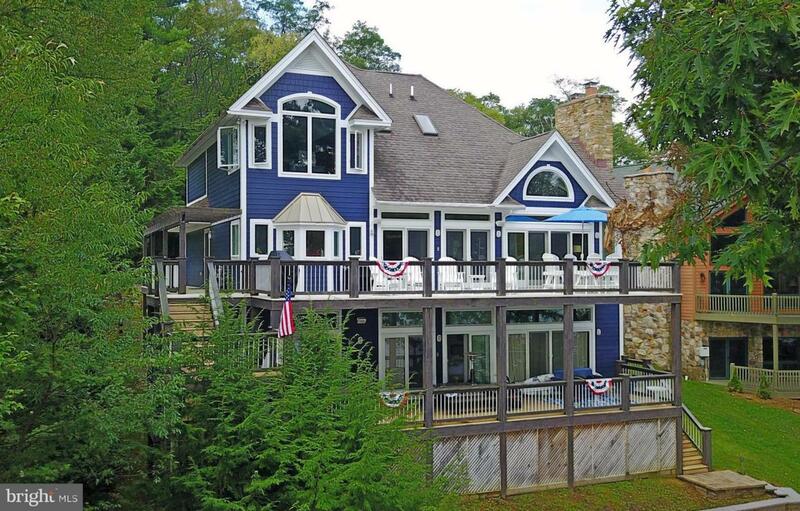 100' lakefront w/Type A private dock. Must see!